Jude Brosnan: 2016, Let’s do this. Solo from Brandy Machado on Vimeo. I'd like to introduce you to this amazing short video about the experiences of women who have done solo bike tours. It's by Brandy Machado and is a preliminary edit of a longer project she is working on. My 2015 New Year’s resolution to not take any flights and see more of this island went really well. I cycled the whole length of Britain on my own with no support crew and very little clue what I was doing. I also did many mini cycling trips and I have LOVED every minute, even the punctures (an excuse to take a break) and especially the hills. There is something very empowering about cycle touring on your own. You can dictate the schedule, the speed and do whatever the hell you want. I like to push my body, be reminded how strong it can be and how far that strength can get me. Also, having to eat all those extra calories is a added bonus. You don't have to decide which cake to have because you can have both. Before I started solo touring I was scared I would get scared. Being a city girl I was unsure how I would cope with miles of open road and no people or buildings. People kept telling me I was brave which made it all sound very scary. I was also asked if I would get bored or lonely. Well I didn’t get any of these things. I’m not one of those zen, colouring in book, yoga, mindful types but something takes over and pushes all those doubts away. Maybe it’s the fresh air or maybe some kind of survival mode kicks in and you just feel calm about everything. I carry around an MP3 just in case I need some distraction or escapism but have only ever used it a handful of times as it's so nice to listen to the sounds around you and really take in the scene with all your senses. Ok that's enough hippyfied nonsense. Soon I'm cycling to Amsterdam which will be my first real bit of winter touring so I'm going to wear ALL the gloves. I don't like to plan too much as I've learnt that it is nice to leave room for random adventures and see where the road takes you so watch this space. 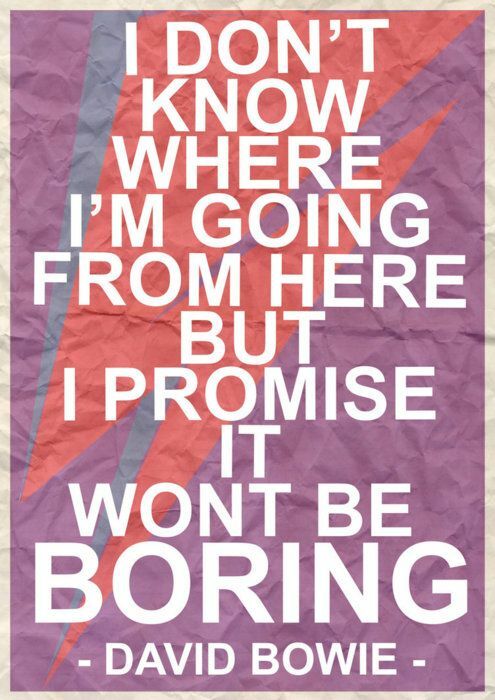 I'm going to let the late great David Bowie have the final word. Dear Jude - only recently found this site, really rather good! I find things like this quite motivational. Keep writing. Thank you. Robert.